I remember having to go all the way around to the front of the Peeler station to retrieve the ball after it was kicked over the wall. Is that wall really high or was it just my imagination because we wereyoung. Was Paul Mc Hugh from Catherne St in your year. I also remember the pies in the bus station, tasty. I think that mill was called Mc Aleaveys. I think your right about the name of the garage. Paul is a singer in the States now. I think he is coming home for Xmas. Who else from around there was in your year, Damien Watson? Francis Lannigan from the Elecrical shop in Cromac St? Johnnyjet, can you remember walking once a week from school to the Ormeau baths. 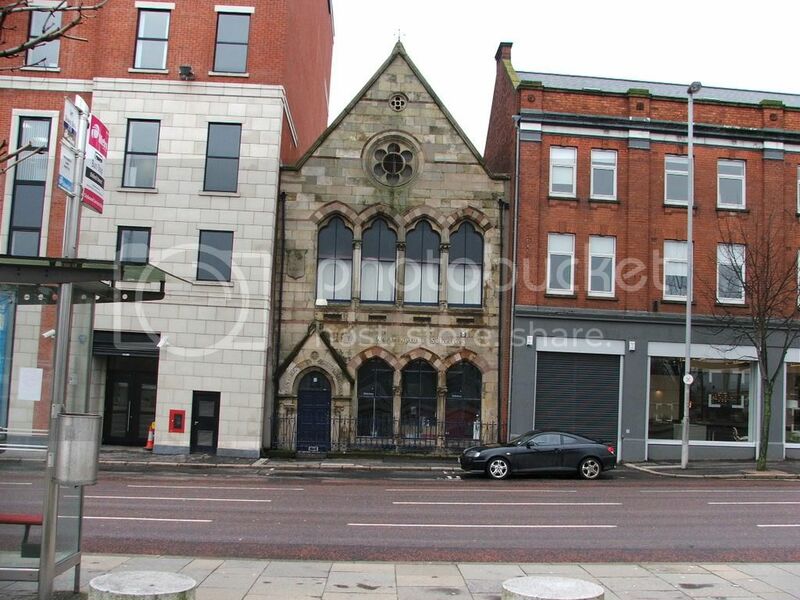 I think the route was out the back door, Musgrave St, Victoria St, May St, Joy St Sussex Place, Alfred St and across Ormeau Ave. We always visited the pet shop at the top of Cromac St on the way home. Johnnyjet do you remember school concerts in the King George the Fifth hall at the corner of Joy Street. I remember the toilets well also having to walk down those steel stairs on freezing winter days, it is a wonder no one was killed on them. I lived in Seymour Street so my walk was not as long as yours. Those Christian Brothers always had a thing about getting people to sing especially as none of them could ever sing a note.